NEED A NEW BATTERY REPLACED URGENTLY TODAY? Need a Car Battery Replacement In Sydney & Australia Wide? We Can Help You! So, your car battery has suddenly failed, leaving you broken-down and frustrated and unable to reach your destination. The possibility, it has reached the maximum life-span and requires replacing. Heat, vibration, short-distance driving and constant city-gridlock driving conditions are major causes of premature failure. If your existing battery is between three and four years old, it is probably on its “Last Legs”, or expired. Do not stress though, we have a mobile battery replacement roadside service near you. We exclusively deliver and replace the “1st Australian-Made” Sealed Maintenance Free Auto Batteries, engineered and rigorously tested for our harsh Outback and City grid-lock driving conditions. Incorporates the Century Advanced Labyrinth and Double Lid SMF Technology, offering you years of trouble-free no maintenance motoring. Nationwide warranty, combined with a Sydney and Australia Wide network of experienced licensed technicians offers you “Peace of Mind” that you are in “Good Hands”. Lastly, we are highly professional, courteous and friendly, with a definite solution to your stressful situation in the quickest possible time. What Are Our Specialty Services Throughout Sydney & Australia? 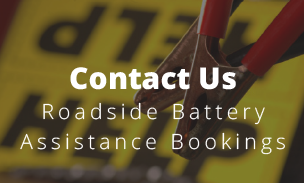 We meticulously carry out battery replacements roadside, at home, workplace or any location where you require a mobile car battery service that comes to you. We trouble-shoot first before work has commenced. Avoid changing it yourself, with the advanced electronics, onboard computers and Stop-Start-Systems in modern cars; a professional battery technician is your safest option for preventing expensive and dangerous installation errors by choosing the “D.I.Y” option. 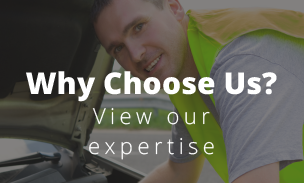 Can I Choose Your Auto Battery Emergency Services With Confidence? 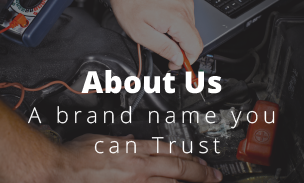 We have over 15 years experience replacing batteries for Australian (Holden-Ford), Japanese (Toyota-Honda-Mazda-Nissan-Suzuki), European (BMW-Mercedes-Audi-Volkswagen), American (Jeep Chrysler), 4WD and High-Performance vehicles. We also offer expert advice on the correct fitment for your car. It is vitally important you have the proper manufacturer specifications, such as case size, CCA’s (cold cranking amps), RC (reserve capacity) and in particular vehicles with extra onboard electrical accessories, AMPS (amperes) are especially important. How Much Do Your New Car Batteries and Services Cost? We are not the cheapest nor the dearest but set a high standard of quality and professionalism. 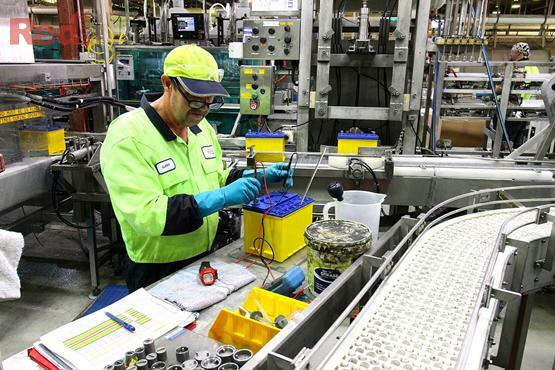 Our batteries are Australian-Made, so naturally will cost more than imported brands. Cheaper is not always the best option, especially considering that a battery keeps you mobile and accessories working to keep you safe and comfortable inside. “Quality is of the essence”. All prices we quote over the phone are inclusive of GST. We do not give you any nasty surprises when we arrive at your destination, only to find out an additional fee sneakily added to your original quotation. We are entirely upfront with the initial phone inquiry. Keep These Three Battery Maintenance Tools Handy! By regularly checking the state of your battery you will avoid getting stranded with a dead one. Ongoing inspection is the key to have years of trouble-free starting power, longevity and not having to call a roadside replacement service for a Long, Long Time. Fact: Short distance driving and not using your vehicle enough leads to undercharged batteries which equals acid stratification and sulfation. The number one reason they fail prematurely. 1) The Matson Electronic Battery Tester with Printer will give you an Instant State of Health in the condition of your battery. This is a “Must Have Tool” if you would like to increase the Longevity and Replacement Intervals. 2) In the event the digital tester says it requires a charge the Ctek MXS 10 Fully Automatic Battery Charges, Maintains and Reconditions Car, Caravan & Motorhome Batteries 12V, 10 Amp – AU Plug and will keep your battery in Optimum Condition at all times. 3) If you accidentally leave your Headlights or an Interior Light on you must keep a portable Matson 12 volt Lithium Jump Starter in your Glove Box. It’s happened to most of us only to find out our battery has gone completely flat and unable to start the vehicle. Our Recommendation Just For You! 24/7 roadside assistance – testing, replacement and jump-start. Nil membership required, use as needed, no yearly fee. Sydney-Metro and Nationwide extensive network. Professional licensed technicians, expertise guaranteed. Fully insured for your “Peace of mind” that accidental mishaps will not be an issue. All quoted prices include GST, no nasty surprises upon arriving. The brand used – Century the Iconic Australian Brand for Australians. Your Second Step once you have booked in your appointment, or before making a decision, is to keep reading below to learn why choosing our services and Century Australian-Made batteries, is a Wise Choice. NRMA: Korean-Made by KSB Co.Ltd. Why Do We Recommend Century As Our First Choice Car Battery Replacement Option? Others may claim their vehicle batteries originate and made in Australia, but only Century can hold this claim to be valid. They are Australia’s oldest most recognised battery manufacturer since 1928, and we just want the best for our customers, which is You! Many types of imported batteries are not suited for optimum performance in hot weather or idle-stop-start city peak driving conditions. They are designed to work in much colder climates than ours, such as in Europe, where heat degradation and electrolyte evaporation is minimal. Century Batteries, innovators of Smart Drive™ Technology, are specially engineered in Australia to meet and manage the demanding “warm to hot” Australian conditions. Did you know, Heat is the “No 1” enemy of battery deterioration? The batteries under the Century Ultra High Performance (36 Month Warranty) and Century High Performance (24 Month Warranty) sealed maintenance free range, for example, have been designed to include numerous internal features and significant improvements to meet motorists’ demands for long-lasting performance and automotive battery reliability. Why is the quality of utmost importance when purchasing your new battery replacement? Buy Australian-Made Quality! The battery is the “Heart of Your Vehicle.” Not only does it start your car, it powers your on-board auxiliaries such as the A/C, GPS, stereo, lights and the vehicle’s computers. It must also be able to withstand high temperatures, vibration and constant idling in peak driving conditions. As you can see, its primary function is not just to crank your motor over, but also operates internal features to keep you comfortable, safe and entertained in your everyday on-road trails. Do not compromise the quality for the sake of saving a few dollars, which may end up costing you more in the long-run. Fact: Century is the only battery made in Australia, for Australians. Don’t be informed otherwise, use your due diligence and do your research. Remember, if it is not “Branded Century”, it is not made here locally. Should Your Car Battery Purchase Be Solely Based On Its Cold Cranking Amps (CCA’s)? Firstly, we must understand how CCA’s are rated. As the word “Cold” is mentioned, the testing procedure involves testing new batteries in an icy environment of (-18°C). They are placed under-load to measure their amperes discharge rate over a 30 second period, and must not drop below 7.2 Volts (1.2 V per cell) to pass the test. Please note, these are new fully-charged batteries, and the colder the environment is, the higher the resistance is to allow the electric current to flow through. The warmer the surrounding is, the lower the strength is to deliver that same electrical current. What this means, in extreme cold, Higher CCA’s are “Crucial”, as internal resistance within the battery to release the electrical current, is dramatically increased. The warmer it is, Higher CCA’s are “Not” as crucial, as internal resistance is decreased, thus releasing the electrical energy in a more effortless delivery. Fortunately, for us in Australia, we do not experience these types of extreme harsh winters. Hence, why wouldn’t want to live anywhere else, but here, correct? 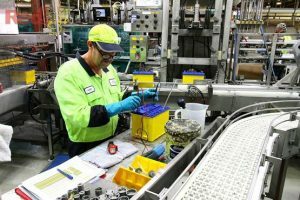 The only requirement that’s crucial is purchasing a car battery that meets your vehicle’s manufacturer’s specifications, and that has a reputable name based on the longevity of its starting and auxiliary power life-cycles. Food for thought: The most common way manufacturers increase CCA’s, is by adding a stronger/higher specific gravity, sulfuric acid mix, which is detrimental and contributes to increased corrosion of internal components. A delicate balance between “Longevity and Power” needs to be achieved, and with over 85 years of manufacturing and innovation excellence here in Australia, Century knows that balance very well. Do not get over-sold primarily on higher CCA’s, as this does not entirely equate to a premium product. A “Strong House-Hold Brand Name” relates to reliable quality, durability, and reliability. Your Century car battery offers you the “Best of Both Worlds”…Cold Cranking Amps that meet vehicle manufacturers specifications, and Long-Life Auxiliary/Starting Cyclic Power for years to come.